Only possible when engine is stopped. Only possible when ignition key is ON. If the engine works with WASTED spark and if there is ONE twin coil. => This AC-CDI should works. 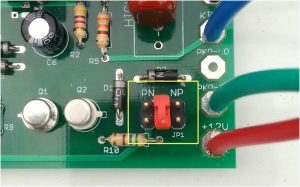 – 1 input for inductive pickup with 1 signal per crank rev. – Points, reluctors, Hall sensor, optical sensors can be used as long as they give only 1 pulse per revolution. – CDI is not compatible with multi-pulses pickup or missing tooth wheel. – input for low pickup if any. Jumper on the middle position : Default position: No help at cranking. but you can drop the timing back far at high end so the engine cannot rev more. 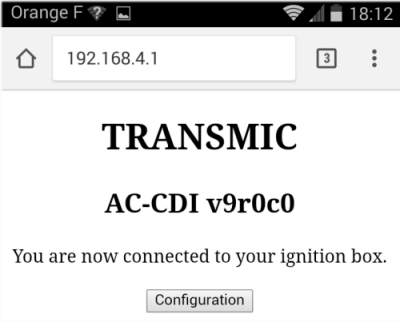 After earing a bip sound from the CDI, seek for “transmic_cdi” wifi network on your smartphone. When finish turn the Kill SW and the master key off. The Blue LED turns off during Wifi communication with the processor. Version 9.3 has drastically reduce the current needed in CDI mode. Only 10mA and 14mA with sparks. 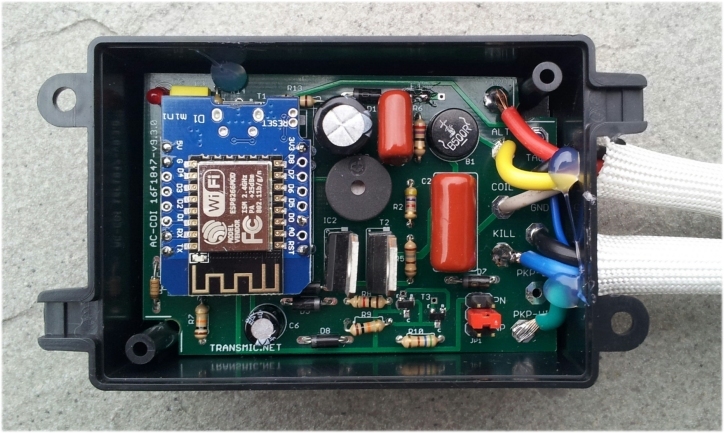 Can be powered on with a simple 9v battery cell. [Hard] Less components, lower price. [Soft] Blue LED blink during wifi communication as a feedback. [Soft] Consumption divided by 6 ! Can now be powered by a 9v battery. Nice … was thinking of doing something on similar lines. Great. All the best. What is the maximum number of cylinders it can handle? Version v9.0.0 is designed for 1 cylinder. It should work on a Twin-cylinders if the engine works with WASTED spark and if there is ONLY ONE twin coil. ie: It works on BMW as they are opposed twin/4 strokes, and needs only one spark every 360°, the very same as a single cylinder/2 strokes. Their twin coil has 2 outputs and fires the 2 sparkplug at the same time. See left part of this animation. As you mention the ignition can handle wasted spark, I supposed it then can work for a three-cylinder engine with wasted spark and three ignition coils firing in paralell, that gives one real spark for ignition + two wasted sparks per revolution for each cylinder. For example a three-cylinder engine that revs 8000 rpm, the ignition need to produce 3×8000= 24 000 sparks/min, or 400 Hz. 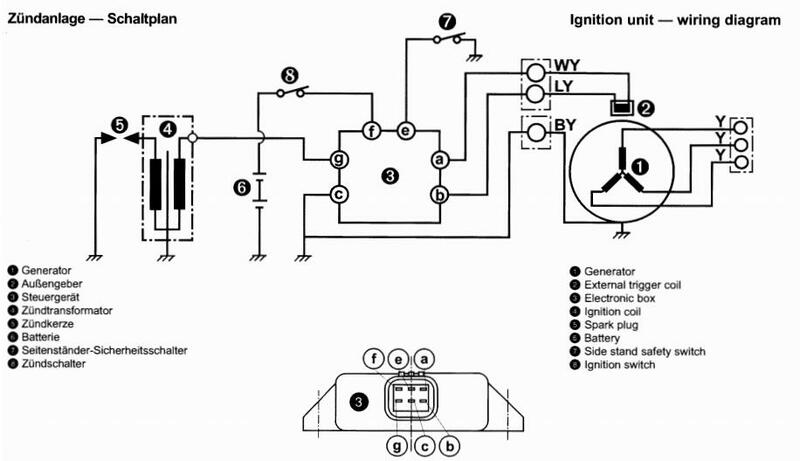 What is the maximum sparks/min the v9 ignition can produce? It also mean there are wasted spark during intake and exhaust strokes inside the 2 others cyl. Sorry I was unclear about my example about the three cylinder engine! I was referring to a two-stroke engine, that ignite the fuel every revolution. My intention was to use the CDI on a two-stroke engine. Ok, so essential you are saying that the ignition can handle 400 Hz, but the possible problem with three paralell coils would be the low resulting impedance from them, affecting the SCR! – Would it work then if the three coils are in series instead (at 400 Hz), that means adding 3 times impedance, compared to a single coil impedance? – If I understand you right the adjustable part of the curve is from 250-5000 rpm if useing the CDI on a two-stroke (without wasted spark). But it will give sparks up to 10000 rpm for a single cylinder two-stroke engine, and sparks up to 20000 rpm for a single four-stroke engine. – Is it only a programming issue that make the max limit to 5000 rpm for one spark on every engine revolution, or is it the processor speed that are the limitation? – Do you have any possibility to make an alternative PIC-programming for a two-stroke application? To drive 3 coils your need a CDI with 3 outputs. That’s it! Serial (lower current but lower tension) is poorer performances. I don’t have experience with 2 stroke as there are rare. If your current CDI works, why don’t you check that on yours? Plug a scope on each sparkplug and on the main pickup and do the math. You really need to sort that out first before considering buying this CDI. Will the system work with a Hall-effect pickup for a trigger? Can you recommend coils that would work best? Yes. 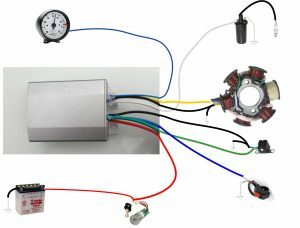 This CDI can be driven by points, reluctor, hall sensors, optical sensors as long as there is only one pulse per rotation. I don’t have any hall sensor reference to suggest. Choose one for automotive with better temp. and vibration prone characteristics. This DRV5013 from Texas seem nice. Can I get the Schematic and PCB designs for this V9? How to filter noises on rx pins? Because This noises can confuse The microcontroller. 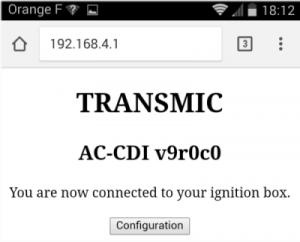 Wireless Programming is only possible when engine is stopped. So there is no EMI noise owing to sparks. when version 9 will be available on the shop? It’s plan to be available this month March2018. At the same time I change the whole site look. The v9 cdi. Would it work on a dr600. How easy would it be to set up ect. Thanks. 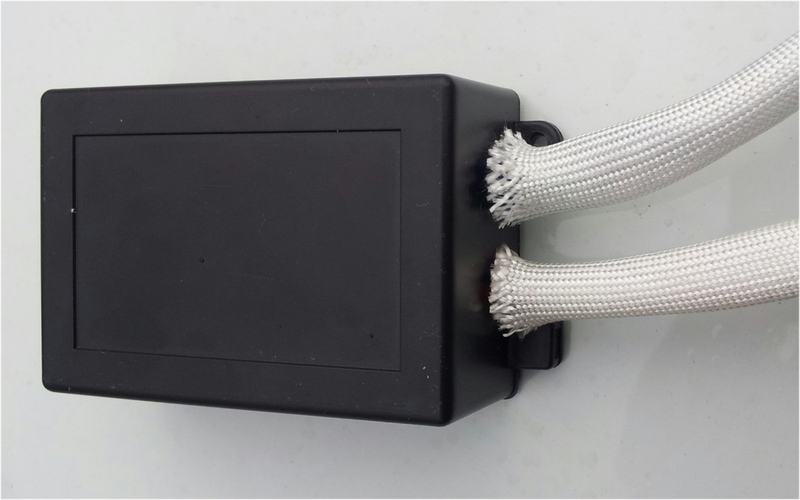 According to https://transmic.net/2016/07/19/ac-cdi-suzuki-dr600/ DR600 has one pickup at 0deg (grey wire) for cranking and another pickup at 30deg (green wire) for rev. I would try first to close jumper JP2 in order to use the positive signal to help starting. And if I get any kickback I would connect the Low pickup (Grey wire) to the pickup12 input available on the board. The v9 cdi Would it work on aprilia rs-125 Rotax 123? Please check the bike manual. Aprilia 122 is a 2strokes Rotax engine with AC-CDI and 1 trigger coil. If not, send it me back during the 30days warranty. wil it work for a Honda CB450S (PC17)? Wastet spark iscommon for this bike. @Headlee: I can’t answer your email (wrong addr). Well …“Kokusan AC-CDI” doesn’t help a lot, like “Dell laptop” don’t give informations about the PC. This AC-CDI v9 can be used as replacement on any single cylinder equipped with AC-CDI that has a separate pickup giving ONE pulse per rotation. Does your bike fit this requirements? 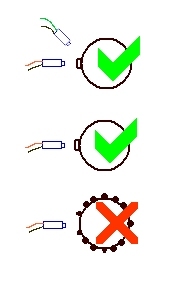 Look at the electrical scheme in your engine manual to see if the CDI use a separate pickup. In 90% of the case, it does. I think it should work, If not send it me back before 3months for a 79€ refund via your Paypal address. AC-CDI v9 has only one map. 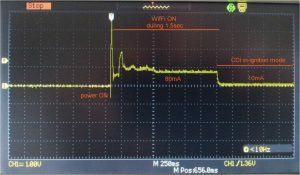 The unique advance curve can be tuned wireless. Could your cdi kit used for husaberg 2003 650? What else would be needed and modified? Husaberg 2003 and before used a SEM ignition (the same as KTM). Does it have input for TPS? There is no input for TPS because it’s a 2D curve, not a 3D. No electric start on SRX600…. Your AC-CDI V9 uses only the first pick-up signal, right? And there’s no way of knowing if the engine is at TDC-firing or TDC non-firing stroke, so you always fire a spark at both firing point and at end-of-exhaust-start-of-intake…. right? there is another bit of circuitry (analogue frequency-to-voltage) that creates a discharge of the capacitor, delayed after the first (positive) trigger…. So how does the AC-CDI V9 time the sparks? So – do you time from the pick-up all the way to around 360 crank degrees later? on SRX-600, first pick-up is at 34 degrees…. So, can I do this ? Thanks for your interrest and for the infos about SRX. So a lot of questions there! >your AC-CDI V9 uses only the first pick-up signal, right? > so you always fire a spark at both firing point and at end-of-exhaust-start-of-intake…. right? >as engine speed rises, the delay gets shorter… above around 2000rpm, this discharge happens before the second (negative) pick-up, so it fires the spark. >So how does the AC-CDI V9 time the sparks? >Obviously, you use the time between first pick-up pulses to calculate the engine speed…. >So – do you time from the pick-up all the way to around 360 crank degrees later? No. The processor use the time between the 2 last pickups, those from the revolution before. >on SRX-600, first pick-up is at 34 degrees…. They setup the pickup slightly BEFORE the max advance needed. sorry, a couple more questions! 1) if you connect 2 pickups (like XT600. SRX600 etc), how do you program the unit to know there are 2 pick-ups? 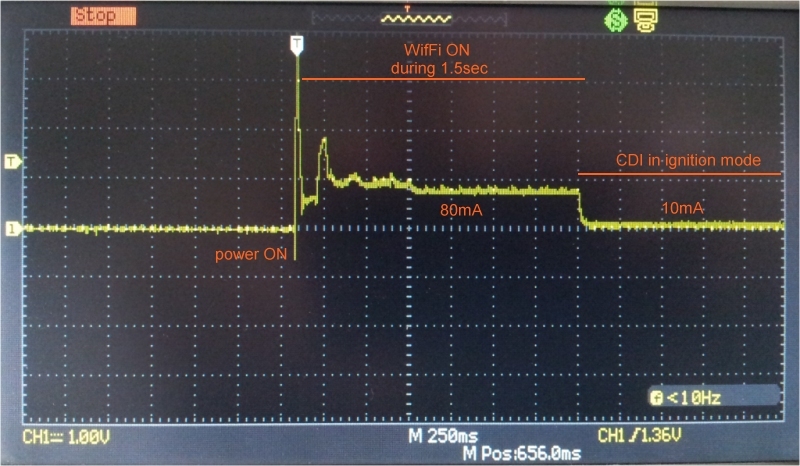 2) if only one pick-up connected,, connect to PKP36 pin on board, and unit knows no pick-up connected to PKP12, so during stating fires spark at fixed millisecond delay after PKP36 pick-up….. right? 3) the table of spark timing vs engine speed…. does it do linear interpolation between break-points, e.g. so at 2500rpm, do you get 18 degrees spark timing, or still 12 degrees…? 4) can you change the speed break-points? thanks you for your interrest in it. Hi. Send me your email please. Hi, There is a link “Contact us” on the top menu. It has a custome magneto assy .. In magnet there is 2 north pole 2 south pole. North pole job is to positive charge. South pole job is nagative discharge. One North & south fire @ 12 o clock & another North &South fire @ 12. 30. So what we understand here 2 cylinder 2 timing. – Produce high voltage only at spark moment. – Need a charging coil that produce High Voltage permanently. – Doesn’t need a charging coil. – Use the +12v battery instead to produce HV permanently. This CDI is a AC-CDI and cannot replace a MAGNETO system. Sorry, Source code schematic and hardware are not available. I decide to wait for the arrival of the product. My motorcycle have a DC CDI. Is it possible to put this AC CDI with a new wiring? No AC = No AC-CDI possible. In the manual of my bike, it’s written that there is a ac cdi but all aftermarket cdi I found for it are dc cdi. I’m not a big connoisseur of electricity abd I’m a little lost. I have an answer from a person who know my model better than me “technically it utilises a combination of 12v dc and low voltage ac,as opposed to the earlier analog CDI units which use high voltage ac only”. This one v9 is AC-CDI not DC-CDI so I wont work.